BI as it is frequently known in the industry, is an auto insurance coverage which will pay a 3rd party in case you are in an accident, liable, and cause BI to the individual(s) in the other car. 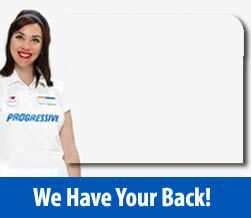 Assuming your policy is in force and up-to-date, if you were involved in an accident and determined to be at fault, completely or partially, and induced an injury to a third party, your BI coverage would take care of the injuries pursuant to your percent of liability for the car accident. BI coverage is necessary in all states if you use a vehicle. 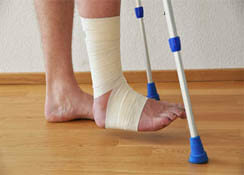 A wounded person's loss of wages is included with their injury claim. It's your policy provider's duty to keep track of all injury claims filed against your policy and do their very best to handle the claim(s) within the limits provided by your policy. An injury claim(s) may be valued greater than your limits, and in a lot of states, an injured party can attempt to recover from you personally if they think the limits of your policy are not sufficient. Our agents know that damage appears in 3 broad classes: actual, nominal and punitive. Nominal damages are the ones awarded where a right has been violated, but there's no significant injury. Punitive damages, also called exemplary damages, are meant to punish the defendant. They could be awarded when the behavior of the defendant was especially horrendous. Actual damages, also referred to as compensatory damages, are those awarded for actual or real loss or injuries. This is exactly what bodily injury insurance most often handles. In most car accident cases, actual damages are split into general damages and special damages. Special BI damages would be the actual consequence of the injury by reason of special circumstances or conditions. Special damages are very easily measurable. With a bodily injury case, 3 crucial special damage components are medical bills, lost income, as well as household services. Injury claims can be quite expensive. If you don't have sufficient BI coverage, you may be accountable for injuries to 3rd parties. If you have significant assets, you need to make sure you protect them and get greater BI limits. It will only set you back a few extra dollars each month but will be well worth every penny if you think about what you have to lose. Linda saved Emerald Drilling Solutions, Inc money on the Commercial Auto Policy. Linda also provides Insurance for personal properties. Linda is Professional, Courteous, Very Knowledgeable, Helpful, and Focused on Getting the Job Done Efficiently!. An Asset to the Company.